They can’t fly through the air faster than a speeding bullet. They spend time building bat houses, rather than hiding out in a bat cave. Their only “spider-sense” is the sense to calm others with a fear of eight-legged critters. 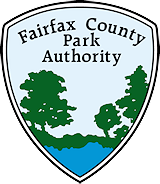 But the Fairfax County Park Authority’s (FCPA) volunteers are superheroes in their own way, bringing the wonders of nature, the healing power of recreation and exercise, and the lessons of history to park visitors year-round. In conjunction with National Park and Recreation month, everyone at the FCPA wants their superheroes to know how much they are valued and appreciated in their local parks. In fiscal year 2015, volunteers contributed 180,642 hours to the Park Authority. Those hours translate into more than $4.5 million in cost savings for county taxpayers and more than $6.4 million in cost savings and benefits based on nationally-used formulas. The numbers certainly help to explain the critical role of park volunteers, but it’s hard to quantify the lasting impact volunteers have on those who visit FCPA sites. How do you put a value on the awe a child feels the first time a volunteer lets them feed a turtle or hold a snake? What currency can measure the insight into our history that can be gained by an archeological volunteer’s discovery? Who will ever know the power a volunteer’s friendly face or welcoming smile has to encourage people to keep returning to a RECenter for their workouts? This month, #Superjuly, the National Recreation and Park Association has been using the fictional superheroes Captain Community, the Green Guardian and the Fit Twins to guide park visitors on adventures across the nation. In the Fairfax County Park Authority, our real-life superheroes will be honored in November when the Elly Doyle Park Service and Outstanding Volunteer Recognition awards are handed out. Volunteers from teen to retirement age have been honored in recent years for a wide range of contributions. They have been honored for helping to care for nature center animals, assisting in RECenter fitness centers, working the front desk at park and rec sites, bringing history to life through interpretive programs, helping in the archeology lab, pulling invasive plants, maintaining landscaping, offering gardening advice, managing farmers markets, and even for coordinating other volunteers. No special cape is required to be a park superhero. Just bring your talents and expertise and indulge your passions by joining the Park and Rec Brigade at your local park. Author Carol Ochs is a Management Analyst for the Public Information Office of the Fairfax County Park Authority. This entry was posted in Uncategorized on July 20, 2016 by mnelms17.